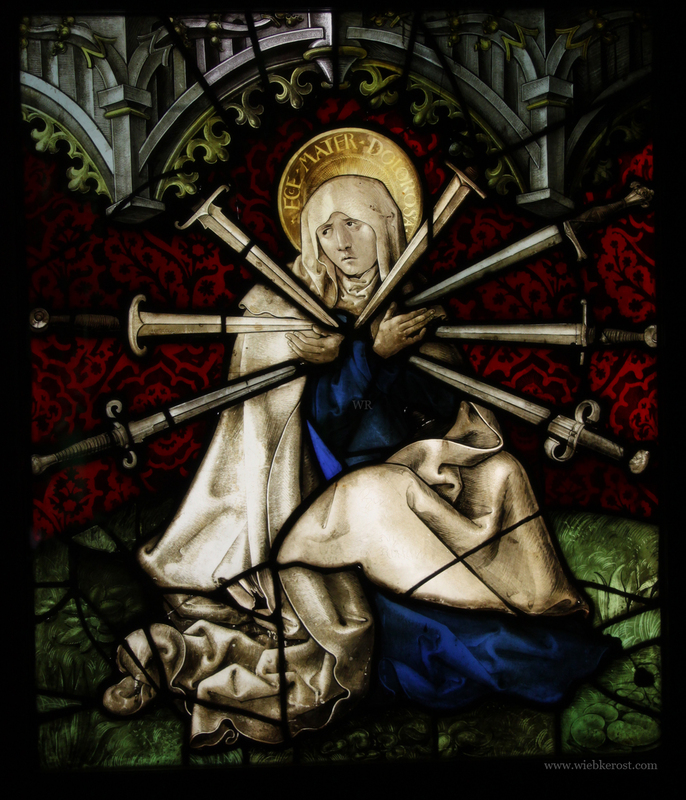 Since visiting Freiburg and seeing the medieval windows of the Münster I am fascinated with stained glass art. The vibrant colors and rich details must have had an amazing effect on the people attending mass inside the building. Through the windows light is filtered and codified. 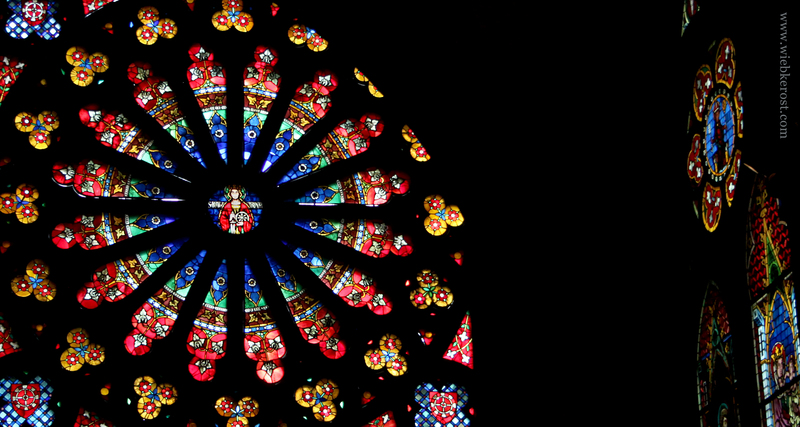 The complexity and detailedness of the windows reached a climax during the high gothic period and renaissance times. One of my favorites was the one connected to the guild of tailors, indicated by the scissors coat of arms. The guilds contributed money to the building of the Münster. Raising a church was a joint effort, which gave employment and whilst being expensive in turn also attracted wealth to the town. The guilds played a special roll. They had a strong impact on the town of Freiburg and its development and were immortalized inside the building’s colorful windows. Some more details drew my attention: for once the devil that is watching above a depiction of Christ. 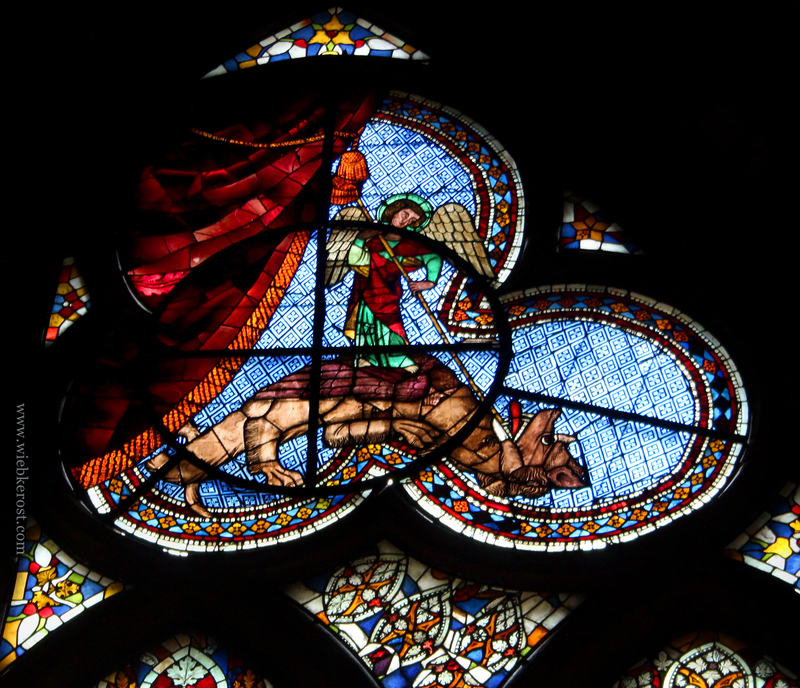 Then there was a window showing a scene of St. George slaying the dragon. The window is composed of three intersecting circles, which are aligned asymmetrically and seems to be held together by a fourth circle, possibly made of steel, and resembling a sun symbol(?). The details on the surrounding elements are quite stunning too. At the Augustiner Museum we saw more windows from the Münster. The reason why they survived WWII is because they were removed from the building and taken into storage years ealier. 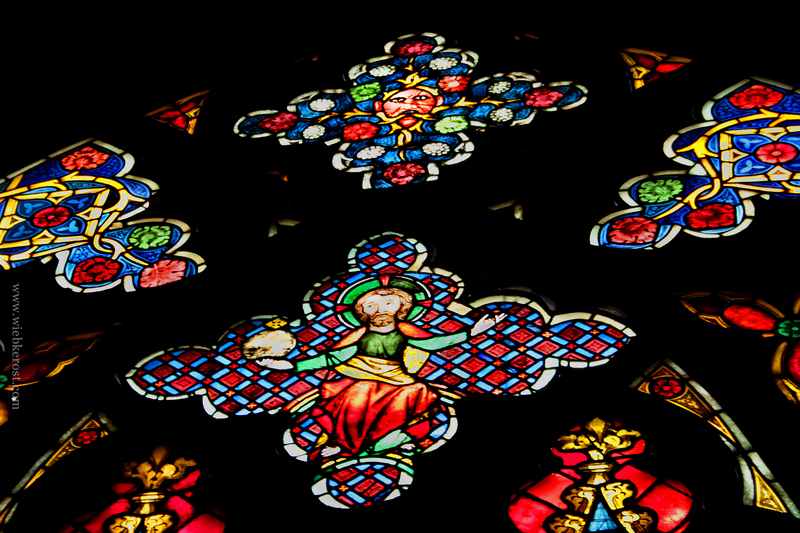 Today some of the original windows are only on display at the museum and replaced by replicas inside the Münster. 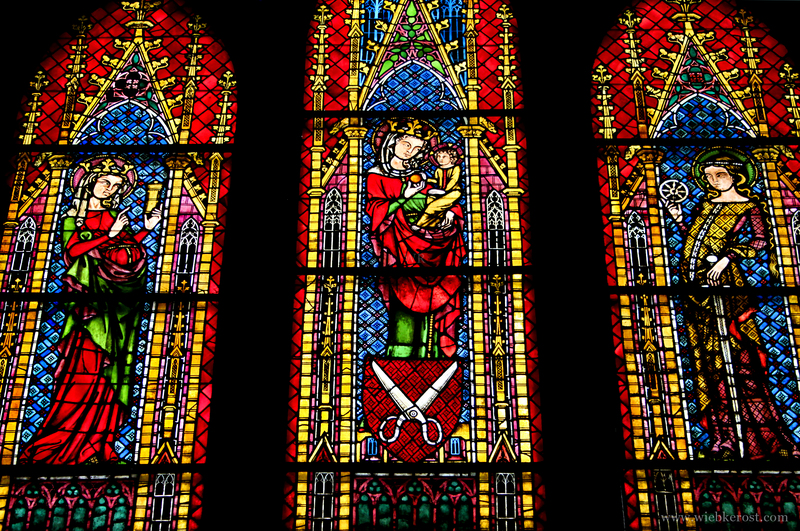 The earliest windows from medieval times were composed of custom-cut pieces of colored-through glass, which has a vibrancy and durability not matched by reverse glass painting of later times. 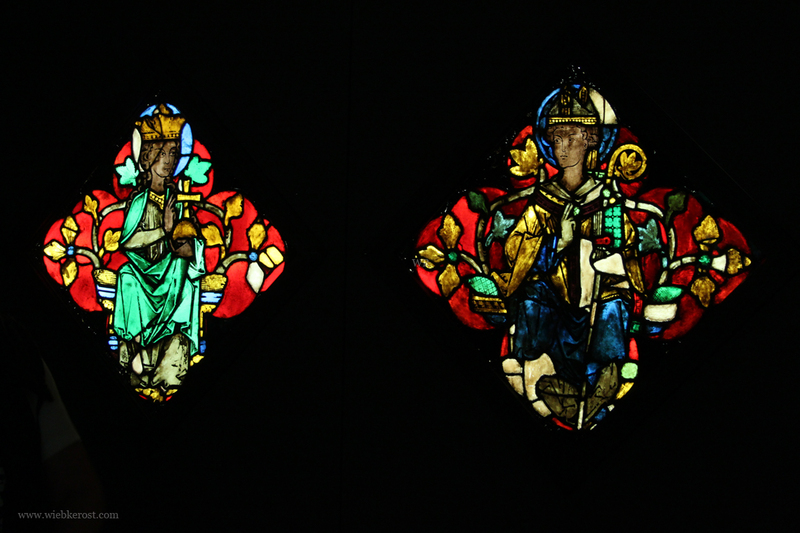 You can see this on the windows showing the king and queen, which are some of the oldest from the Münster. In the museum was also explained how these windows were constructed and what colors were used for tracing contours. 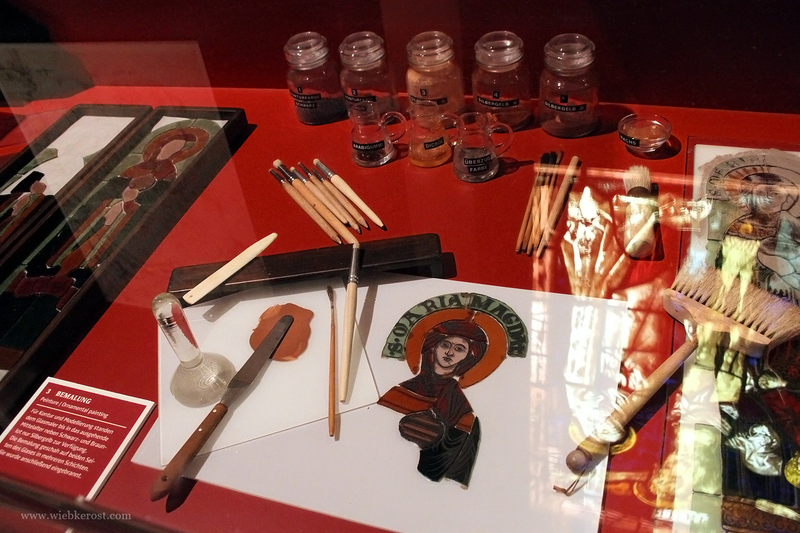 Opposed to these reverse glass painting did no longer require single, ellaborately cut pieces of stained glass and allowed for even more detail, as can be seen on the window showing the Mater Dolorosa in an almost realistical style. This entry was posted in Architecture, Art & Culture, History & Medieval and tagged Churches, Freiburg, Stained Glass.